This article was originally published on The Conversation and is reproduced here with permission. On the verge of another above-average wildfire season, it's important for travelers to be prepared — and help reduce risks. The 2017 wildfire season was one of the most challenging years on record. 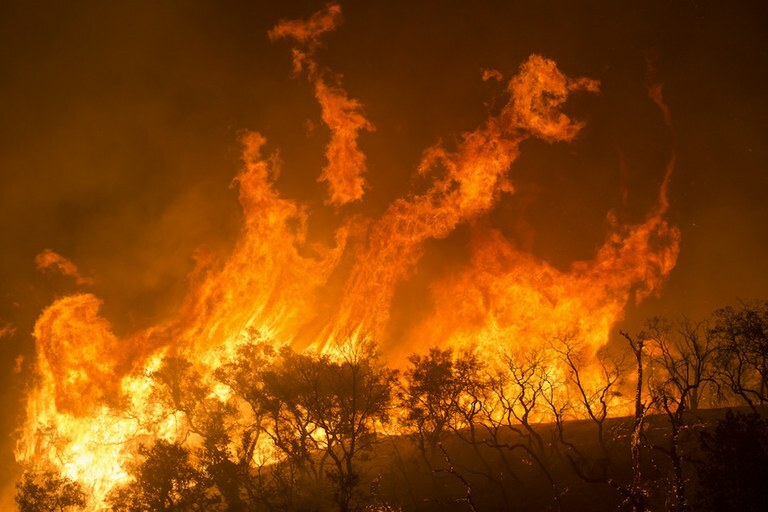 More than 71,000 wildfires burnt over 10 million acres. Federal agencies spent nearly $3 billion on fire suppression, and 14 firefighters were killed in action. Know where you are. GIS systems are convenient, but Siri may not always be available. Carry paper maps that you know how to read. Share your exact travel plans with friends or family. Inform them when you change course. Someone else should know where you think you are. Develop situational awareness. Pay attention to your environment: Seeing or smelling smoke is significant. Avoid rising rivers and flooded roads. Have a communication backup plan if cell service is not available. Sign up for reverse 911, subscribe to an emergency communications service such as Everbridge, or listen to AM channels advertised on road signs in rural communities. Check weather reports and respect red flag advisories. Respect warnings from local emergency managers and cooperate with first responders. Ragan Adams is the coordinator for Colorado State University’s Veterinary Extension Specialist Group.